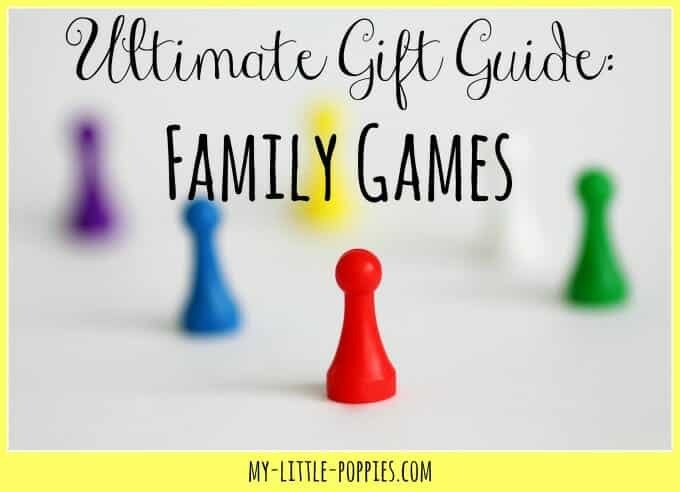 We enjoy playing games as a family, but it is also important to note the importance of single-player games in your family routine, homeschool, or gameschool. One-player games are fun and they are a wonderful way to keep children happy, engaged, learning, and -often- quiet. 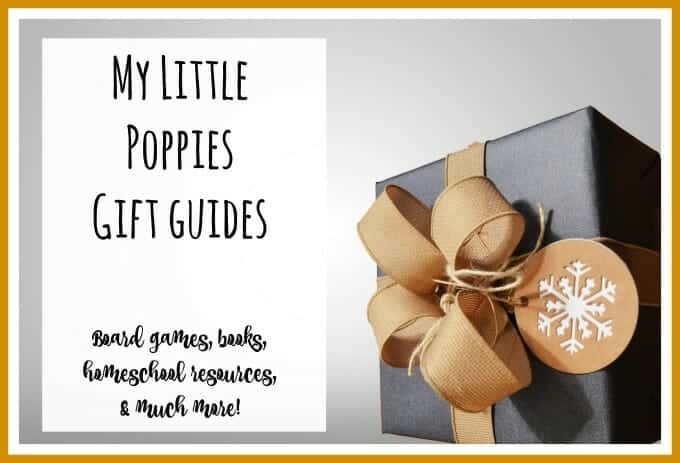 One-player games can help a desperate mama on days with crummy weather or kids who are under-the-weather, and they can also help to keep quiet time quiet. In addition, many of these games travel well and some can even be used while traveling. So, in no particular order, I present to you some of our family’s favorite. 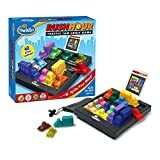 Rush Hour is one of my favorite keep-Leo-busy games. 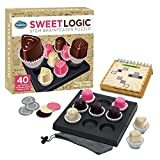 It is a logic game for ages 8 and up. I love how the game comes with a travel pouch, so you can travel with it and even play it in the car. Rush hour has four levels of play to keep your child challenged. 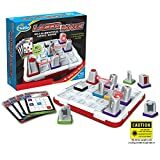 It comes with playing cards and each card provides instructions as to how to set up the various cars in the puzzle grid. The goal is to move the various cars within the grid in order to free the red car so that it can be freed from traffic. Do you want to know the part that kids will love about this game? There’s a legit laser, folks. The goal is to set up your playing board according to the challenge card that you select. Then it’s up to you to position the various tokens (some of which are mirrors) so that the laser hits the targets indicated on the challenge card. 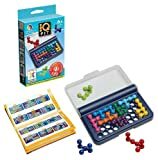 This logic game involves planning and sequential reasoning skills. The challenging game has levels from beginning to expert so it has a lot of longevity. Gravity Maze is another one-player logic game from Think Fun. It is similar to Laser Maze in that it includes a game grid and challenge cards of increasing difficulty but instead of getting a laser to its target, you must construct a marble run. The colors in this game are great and the challenge is even better. The game involves planning, sequential reasoning, and visual spatial skills. Like Laser Maze, it’s just as much fun for the grown-ups as it is for the kids. In addition to being a beautiful game that you want to leave out on your coffee table, Katamino is versatile. It can be played with one player or two, and it has won a number of awards. This game has several different playing variations and many challenge levels. This game would be perfect for a child, a teen, a family, for display, or for your office. Warning: it is addicting! This guy has been around forever, hasn’t he? Leo loves this game, just as I did when I was a child. You can play Simon by yourself, against the computer, or you can set it for a two-player game. The goal is to memorize and follow the increasingly difficult light and sound sequences. Once you start playing, you’ll want to keep playing. Leo holds the Simon record in our house at the moment! Keeping with the 1980s theme, Leo has recently discovered the joys and frustrations of the Rubik’s Cube, the world’s best-selling puzzle. In case you are unfamiliar with this puzzle, each side of this cube has nine colored squares. The goal is to make each side of the cube one color. If you get too frustrated, there are cheat-sheets online, folks! This is another awesome game from Think Fun. Clearly, we love Think Fun over here! These transparent cards are heavy-duty and hold up well over time. This game is enjoyable for children and adults, making it a great family game. This fast-paced game taps into players’ spatial skills. The goal of this game is to make matches, known as swishes, by getting balls into hoops of the same color. This game can be played with multiple players, or as a solitaire. And, this is random, but every time I play it I think to myself that I wish I had this game back when I was a swimmer. It would have been perfect for long meets and the plastic cards would hold up well. These challenging maze balls are amazing. Have you guys seen these things? There are a whole bunch of different Perplexus maze balls, with the hardest level known as Perplexus Epic. These mazes are an extremely challenging and frustratingly-fun experience. The goal is to get the little metal ball bearing through the entire maze. Good luck! This is a game by Melissa and Doug was another Christmas winner in our house, gifted to us by the beloved Santa Kate! Suspend is a balancing game for 1-5 players. This game is simple to learn and yet challenging, offering several levels of play. Use your patience, kids! Word A Round is not technically meant to be a one-player game but we use it as a one-player game. The goal is to find a hidden word on each card. There are three rings per card and there is a hidden word in each ring. What can I say about this game, folks? I grew up playing Scrabble. It’s one of my all-time most favorite games ever. Bananagrams is like a throw-it-in-your-purse Scrabble. You can carry it anywhere, and play it anywhere. I will often bring it to restaurants and go over letters and words with the kids while we wait for food. Best part? You can play a solitaire version! This is yet another fantastic one-player logic game for ages 6 and up. It comes in a compact case so it can be easily stored and is perfect for travel. The challenges start off easy and get quite difficult. Leo loves this game, folks! This is a fantastic word search game by Think Fun. Each puzzle tells you which tiles to use and you have to place the tiles in such a way so that each tile covers a word. The puzzles start off easy and get increasingly difficult. Our Pathwords came in a cool little travel case so you can play it in the car or at a restaurant. These tubes keep kids occupied during quiet time, in waiting rooms and at restaurants. Last weekend, I had to bring Miss T to the ER (she’s fine) and this thing saved the day. You guys know that we are I Spy obsessed, and this is like an I Spy game that you can carry with you. There are a ton of Find It tubes out there and each one has a list on the top of the cylinder of items to find within the cylinder. Lots of fun for kids of all ages. This is a complex puzzle using cubes. There are 130 cubes and, with them, you can create 6 different puzzles based on well-known works of art. This puzzle is recommended for ages 12 and up. The puzzle blox come in a plastic carrying case to prevent loss, and so that you can work on your puzzle and then close it up and save it for later. It’s challenging and quiet. I love this game because the box is small and portable and the logic challenge cards start out quite easy but grow more challenging over time. The goal is to follow the clues to arrange the links in the correct order. It gets tricky very quickly and is a fun challenge. I love this game! It is adorable… and super challenging! 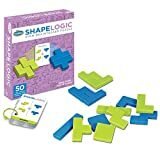 This one-player logic game encourages children to develop reasoning skills through fun, multi-level challenges. To play, your children must use the clues provided to fill the tray with all nine chocolate pieces in their correct positions. Back Spin is a double-sided interactive puzzle for ages 8 and up that will keep kids engaged for long periods of time. Winner of the Oppenheim Award, Back Spin is a double-sided disc filled with multi-colored balls. The goal is to get the balls to their appropriate color-coded slots. In order to do so, players must pay attention to what is happening on both sides of the disc. 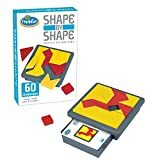 [easyazon_link identifier=”B00000IRZ4″ locale=”US” tag=”mylitpop-20″]Shape By Shape[/easyazon_link] is a tangram-style pattern game for ages 8 and up. With 60 challenges, your little geometry lover will work on those conceptual thinking and spatial reasoning skills while having a blast! Snap Circuits are right up there with Magnatiles as one of the best parental investments Schizz and I have ever made. While technically a game, Snap Circuits are fun, hands-on, and extremely educational. 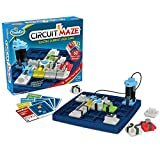 There are oodles of different Snap Circuit kits (although, if you think your family is interested, I would recommend one of the larger ones because you’ll just want more), and Snap Circuits have won a multitude of awards. With the Snap Circuit Pro SC-500 (our first Snap Circuit kit), you can create 500 different projects. Leo received this gift for Christmas last year when he was five and a half. He was reading well at that time and could complete projects happily and independently. Although, to be honest, you’ll want to join your kids with this one. This is a three-dimensional twist on the traditional four-in-a-row game. This two-player game is for ages 8 and up. The goal of the game is to be the first player to connect four spheres in a row, in any direction. These are second only to Magnatiles in our home. Recommended for ages 3 and up, we received these blocks as a gift and they make a great addition to our Melissa & Doug unit block set and are more challenging. This set contains 200 blocks and it is amazing what kids create with these blocks. You can also use them to play your own version of Jenga, which is also fun! This is a new logic and reasoning game from the fine folks at ThinkFun. Balance Beans is a one-player game for ages 5 and up. 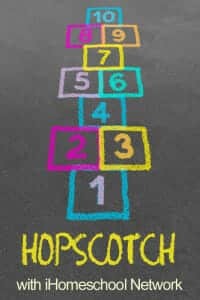 The game teaches young children early algebra and physics.To play, set up the seesaw and select a challenge card. Arrange the red beans on the seesaw according to the instructions on the challenge card. 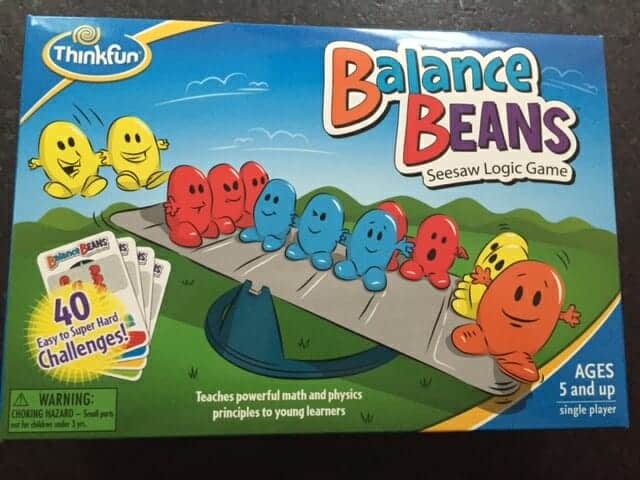 The object of the game is to add additional beans in order to balance the seesaw. Yes! It’s true! There is a new [easyazon_link identifier=”B01G3Q5GEY” locale=”US” tag=”mylitpop-20″]Rush Hour[/easyazon_link]. 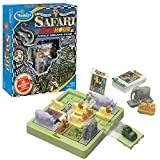 It’s called Safari Rush Hour and unlike traditional Rush Hour, the grid is larger and players can move their Safari Rover in all directions making for added challenge! I cannot mention games or toys to keep kids occupied without mentioning our favorite parental purchase of all time. Our friends had Magnatiles for years before we finally decided to buy them ourselves. Every time we’d go to their house for a function, boys and girls of all ages were playing with the Magnatiles. Every. Single. Time. For years. I kept thinking to myself, “But, gosh they seem expensive!” and then one day I asked my friend about them and she gushed. She told me that, by far, they had been the best parental investment they had ever made. They were played with daily, by boys and girls, by kids of all ages, they are easy to clean, they are easy to clean up (um… they’re magnetic! They clean up in a minute! ), they are easy to store (again: magnetic! ), and they are virtually indestructible. They don’t hurt your feet like Legos (which I love, but I love Magnatiles more), they will never end up in your vacuum, and they are incredibly fun. If I had to think of one con about Magnatiles, it would be that you can never have enough. You always want to build bigger, higher, more. We have had them for several years now and they are played with daily. 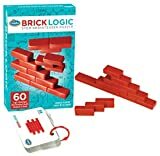 [easyazon_link identifier=”B00000IRY1″ locale=”US” tag=”mylitpop-20″]Brick by Brick[/easyazon_link] offers 60 challenges with three different levels of play. The goal is a simple one: combine the five bricks to match the image depicted on each challenge card, but the game offers a fun challenge! 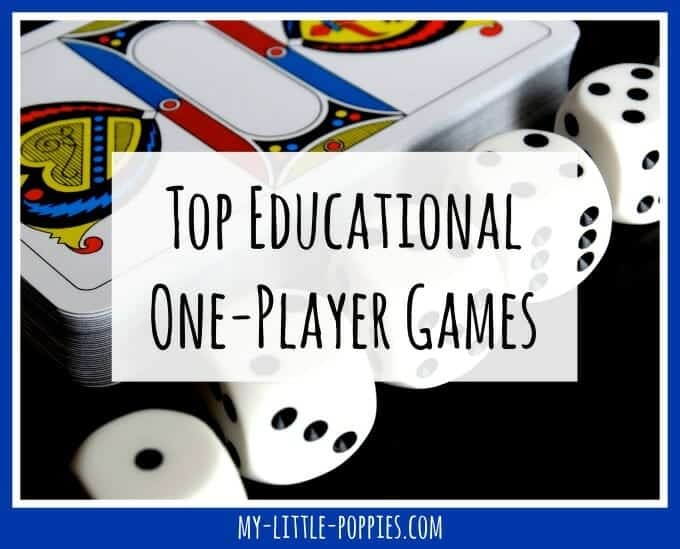 One-player games are a must-have for busy homeschooling moms! 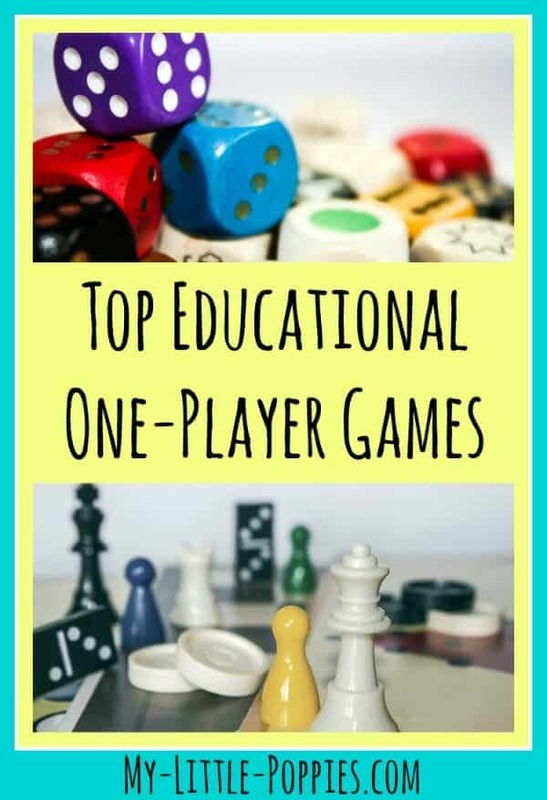 I rely heavily on single-player games in our homeschool. 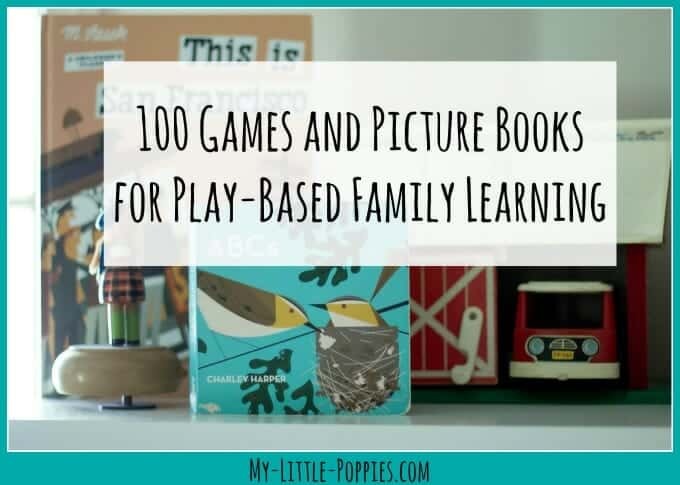 They are a perfect way to keep kids busy (and learning!) when they are bored. They make a fantastic quiet time or calm down activity, and they are a wonderful way to occupy one child while working with another. 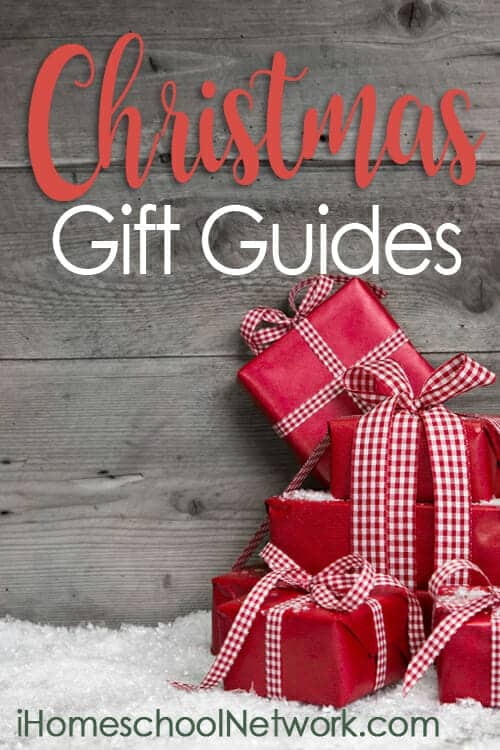 Be sure to check out our gift guides! Now it’s your turn. Tell me: What are your family’s favorite one-player games? Share here! I love, love, love Laser Maze. At our Hanukkah party, the people who were all over it? The CalTech physicist-turned chip designer and his (much older) kids. It is so much fun! Thank you! We need more games. Katamino and Snap Circuits are a big hit here. My son loves Goblet,too. It is a two player game. This is a great list. 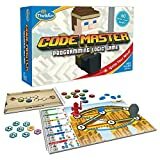 My youngest is terrible at entertaining himself (i think it comes from having 2 brothers around all the time) I’ve been looking for fun learning games he can play by himself… I’m going to have to get a couple of these! Let me know what you think, Krista! Am loving the sound of one player games – playing games with my son get’s very complicated, tiring and ends in too much family frustration as he hates to lose or to make a mistake. 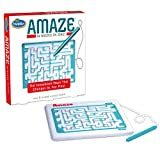 Will definitely look into these maze ones – he loves mazes! Thank you for the sanity. My husband & I were game addicts pre-children, and I still like to play a complex game for relaxation. A lot of cooperative games either have single-player rules or can easily be modified for one player. Pandemic is one both my teen son and I enjoy both as a single player & as a multi-player cooperative. My Christmas present this year was Mage Knight, which is usually on gamers’ “top” lists for single players. Looking forward to having time to get into this game – it’s challenging! And I think we own every ThinkFun game in existence- the now teen mentioned above would play these nonstop as a younger child, and the 8 year old is currently obsessed with their Solitaire Chess. My 14 year old daughter likes “Friday”. It’s a one player game based on Robinson Crusoe!